Ludwig (Louis) Spady was born in December 10, 1856 in Norka, Russia, the son of Heinrich Spady (born 1829) and Elisabeth Bott (born 1833). Louis was among the first Volga Germans to arrive in the United States around 1875/76 and he initially settled in Nebraska. Louis married Anna Elizabeth (Alice or Agnes) Jörg on January 8, 1879, in Franklin, Nebraska. Louis and Alice are shown living next to Alice's family on the 1880 U.S. Census for Franklin, Nebraska. Alice was born on April 15, 1858 in Norka, the daughter of Friedrich (Frederick) Jörg (born 1838) and Christina Bauer (born 1837). The Jörg family arrived in the United States on June 28, 1875 on the steamship City of Brussels arriving from Liverpool, England. Alice's grandfather, Johann Jörg (born 1817) was part of the group. A son, Henry L., was born on May 26, 1880, in Bloomington, Nebraska. Louis and Alice were likely part of the Nebraska party that arrived in Portland in 1882. Alice's parents and grandfather also settled in Portland. 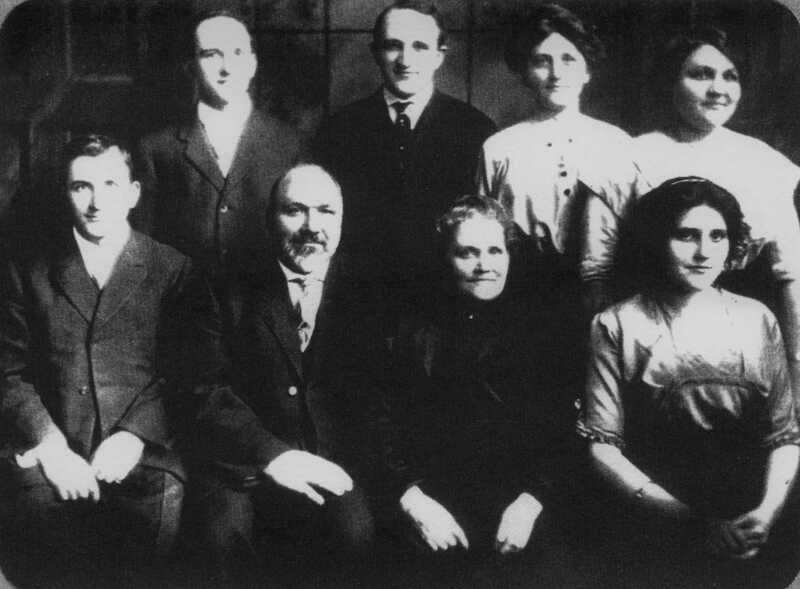 The Spady's became member of the Albina Seventh-day Adventist Church which was founded by Alice's father in 1889. Ludwig served as an officer in the church and was known for his rare sense of integrity and duty. Six children were born in the next several years: A son, Joseph L., was born on February 18, 1883, in Portland. A daughter, Sarah, was born on April 15, 1887, in Portland. A son, Louis (Lewis), was born on January 8, 1889, in Portland. A daughter, Lena, was born on October 8, 1890, in Portland. A daughter, Anna M., was born on February 27, 1892, in Portland. A daughter, Edna, was born in July 1899 in Portland. It appears that at least four children died at an early age and were buried together on the same or adjacent plots at the Lone Fir Cemetery. Those children include Lizzie who was buried on February 18, 1889; John who was buried on February 27, 1889; Edna who was born on May 15, 100 and died from cholera on August 30, 1900; and an unnamed child who was buried on February 5, 1904. 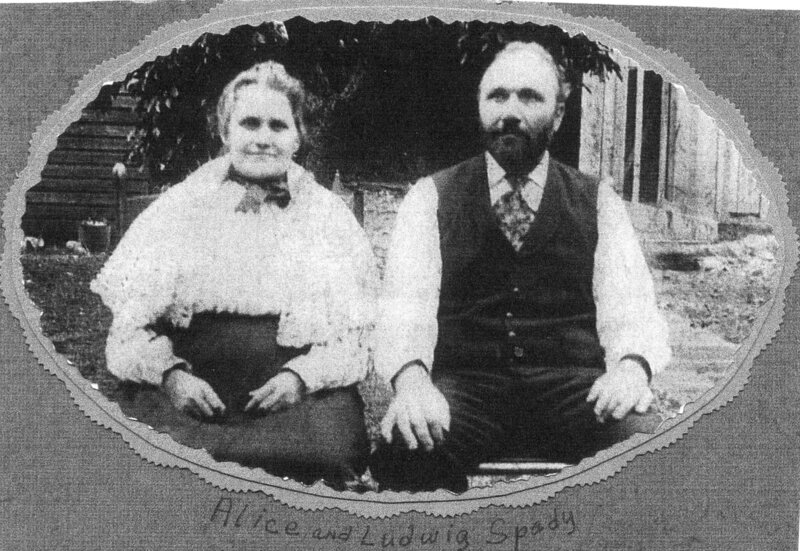 Ludwig and Alice Spady and their children. Back row standing from left to right: Louis (Lewis), Joseph, Sarah, Lena. Front row seated from left to right: Henry, Ludwig, Alice (née Jörg), and Anna Spady. In 1891, the Spady family was living in Albina on the north side of Tusculum street (now Tillamook) two blocks east of Margareta Avenue (later Union Avenue and now MLK Blvd.) Louis is working as a showcase manufacturer. Alice's father, Frederick Jorg, is listed in the Albina City Directory as the pastor of the pastor of the Seventh Day Adventist Church. In 1900 and 1910, Louis and Alice continue living on Tillamook Street and he is working as a cabinet maker. 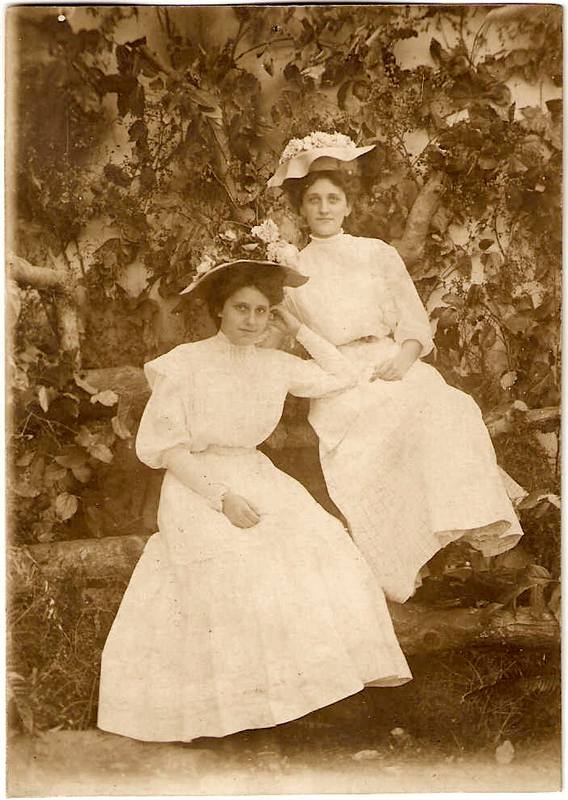 Portrait photograph of Anna and Sarah Spady. Courtesy of Karen Gilbert. 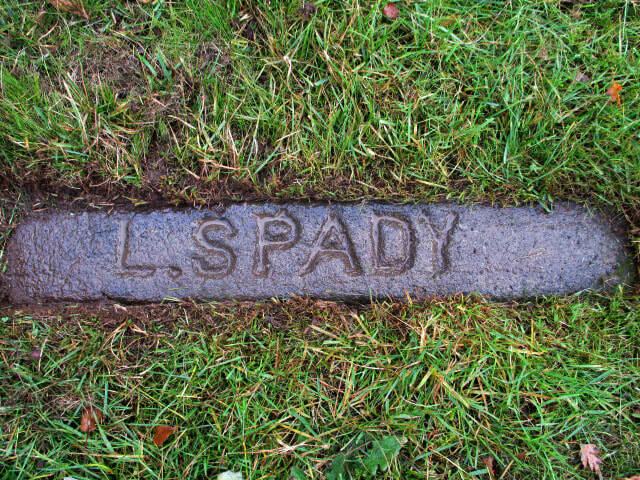 Ludwig Spady died on September 26, 1927 in Portland, His funeral service was held at the Albina Seventh-day Adventist Church and was conducted in German by Elder George Seltzer, pastor. Ludwig was buried at the Rose City Cemetery. Alice died on January 14, 1932, in Portland and was buried at the Rose City Cemetery.